Among the types of Personal Data that www.canjamglobal.com (“CanJam”) collects, by itself or through third parties, are: email address, first name, last name, company name and country. Personal Data may be freely provided by the User, or, in case of Usage Data, collected automatically when on CanJam’s website. Unless specified otherwise, all Data requested by CanJam is mandatory and failure to provide this Data may make it impossible for CanJam to provide its services. In cases where CanJam specifically states that some Data is not mandatory, Users are free not to communicate this Data without consequences to the availability or the functioning of the Service. Users who are uncertain about which Personal Data is mandatory are welcome to contact CanJam. Users are responsible for any third-party Personal Data obtained, published or shared through CanJam and confirm that they have the third party’s consent to provide the Data to CanJam. CanJam takes appropriate security measures to prevent unauthorized access, disclosure, modification, or unauthorized destruction of the Data. The Data processing is carried out using computers and/or IT enabled tools, following organizational procedures and modes strictly related to the purposes indicated. In addition to CanJam, in some cases, the Data may be accessible to certain types of persons in charge, involved with the operation of CanJam (administration, sales, marketing, legal, system administration) or external parties (such as third-party technical service providers, mail carriers, hosting providers, IT companies, communications agencies) appointed, if necessary, as Data Processors by CanJam. The updated list of these parties may be requested from the CanJam at any time. processing is necessary for the purposes of the legitimate interests pursued by CanJam or by a third party. In any case, CanJam will gladly help to clarify the specific legal basis that applies to the processing, and in particular whether the provision of Personal Data is a statutory or contractual requirement, or a requirement necessary to enter into a contract. The Data is processed at the CanJam’s operating offices and in any other places where the parties involved in the processing are located. Users are also entitled to learn about the legal basis of Data transfers to a country outside their their own or to any international organization governed by public international law or set up by two or more countries, such as the UN, and about the security measures taken by CanJam to safeguard their Data. If any such transfer takes place, Users can find out more by checking the relevant sections of this document or inquire with CanJam using the information provided in the contact section. Personal Data collected for purposes related to the performance of a contract between CanJam and the User shall be retained until such contract has been fully performed. Personal Data collected for the purposes of the CanJam’s legitimate interests shall be retained as long as needed to fulfill such purposes. Users may find specific information regarding the legitimate interests pursued by CanJam within the relevant sections of this document or by contacting CanJam. CanJam may be allowed to retain Personal Data for a longer period whenever the User has given consent to such processing, as long as such consent is not withdrawn. Furthermore, CanJam may be obliged to retain Personal Data for a longer period whenever required to do so for the performance of a legal obligation or upon order of an authority.  The Data concerning the User is collected to allow CanJam to provide its Services, as well as for the following purposes: Contacting the User and Managing contacts and sending messages. By filling in the contact form with their Data, the User authorizes CanJam to use these details to reply to requests for information, quotes or any other kind of request as indicated by the form’s header. By registering on the mailing list or for the newsletter, the User’s email address will be added to the contact list of those who may receive email messages containing information of commercial or promotional nature concerning CanJam. Your email address might also be added to this list as a result of signing up to CanJam or after making a purchase. Users may exercise certain rights regarding their Data processed by CanJam. Access their Data. Users have the right to learn if Data is being processed by CanJam, obtain disclosure regarding certain aspects of the processing and obtain a copy of the Data undergoing processing. Restrict the processing of their Data. Users have the right, under certain circumstances, to restrict the processing of their Data. In this case, CanJam will not process their Data for any purpose other than storing it. Have their Personal Data deleted or otherwise removed. Users have the right, under certain circumstances, to obtain the erasure of their Data from CanJam. Where Personal Data is processed for a public interest, in the exercise of an official authority vested in CanJam or for the purposes of the legitimate interests pursued by CanJam, Users may object to such processing by providing a ground related to their particular situation to justify the objection. Users must know that, however, should their Personal Data be processed for direct marketing purposes, they can object to that processing at any time without providing any justification. To learn, whether CanJam is processing Personal Data for direct marketing purposes, Users may refer to the relevant sections of this document. Any requests to exercise User rights can be directed to CanJam through the contact details provided in this document. These requests can be exercised free of charge and will be addressed by CanJam as early as possible and always within one month. The User’s Personal Data may be used for legal purposes by CanJam in Court or in the stages leading to possible legal action arising from improper use of www.canjamglobal.com or the related Services. The User declares to be aware that CanJam may be required to reveal personal data upon request of public authorities. For operation and maintenance purposes, CanJam and any third-party services may collect files that record interaction with CanJam (System logs) use other Personal Data (such as the IP Address) for this purpose. More details concerning the collection or processing of Personal Data may be requested from CanJam at any time. Please see the contact information at the beginning of this document. CanJam does not support “Do Not Track” requests. Should the changes affect processing activities performed on the basis of the User’s consent, CanJam shall collect new consent from the User, where required. Information collected automatically through CanJam (or third-party services employed in CanJam), which can include: the IP addresses or domain names of the computers utilized by the Users who use CanJam, the URI addresses (Uniform Resource Identifier), the time of the request, the method utilized to submit the request to the server, the size of the file received in response, the numerical code indicating the status of the server’s answer (successful outcome, error, etc. ), the country of origin, the features of the browser and the operating system utilized by the User, the various time details per visit (e.g., the time spent on each page within the Application) and the details about the path followed within the Application with special reference to the sequence of pages visited, and other parameters about the device operating system and/or the User’s IT environment. The individual using www.canjamglobal.com who, unless otherwise specified, coincides with the Data Subject. The natural or legal person, public authority, agency or other body which, alone or jointly with others, determines the purposes and means of the processing of Personal Data, including the security measures concerning the operation and use of CanJam. The Data Controller, unless otherwise specified, is the Owner of CanJam. The service provided by CanJam as described in the relative terms (if available) and on this site/application.